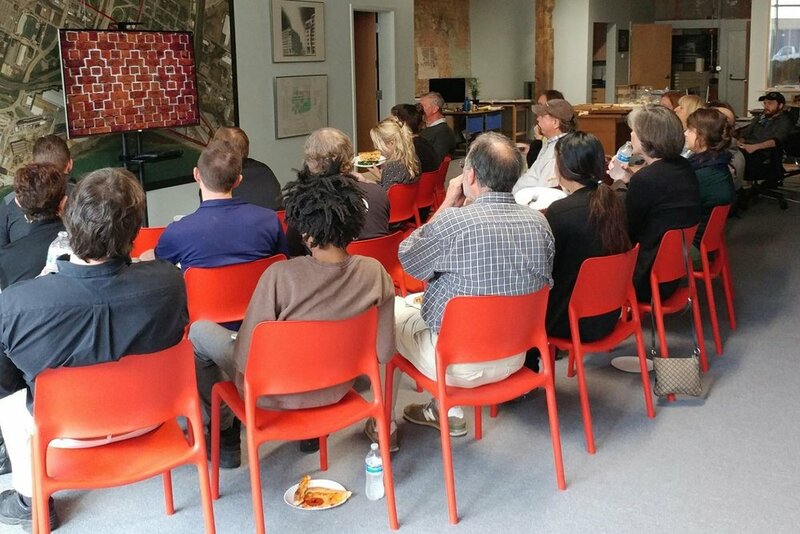 CIVIQ is a quarterly event which introduces and humanizes national and international movements in urban design by showcasing visionary work being done by practitioners in other cities. Chattanooga Urbanists, or CURB, exists to increase activism by the individual in transforming the urban realm. We are a group who come together to tackle small projects that bring attention to bigger needs in our community. Film Friday is a free monthly event advancing conversation on urban issues through short films and honest dialogue. Each hour-long event includes free lunch, 20-30 minutes’ worth of film on topics ranging from sustainability to social justice, and informal conversation afterward facilitated by an outside expert on that month’s topic. The Studio is built on a rich legacy of student work, and we honor this history by partnering with universities in the surrounding region. These semester-long engagements bring bright ideas to challenging sites, sparking new ways to support our vibrantly growing city.